The Deebot 900 integrates voice command and in-app controls, and is compatible with Google Home and Amazon Alexa. Users can schedule and monitor cleans remotely using a Wi-Fi connection. The Ecovacs App can be used to build maps and draw up to 50 virtual boundaries to restrict the robot to specific areas. 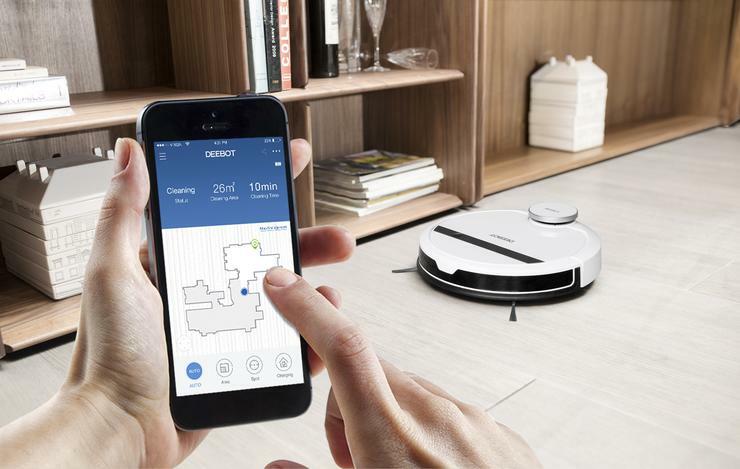 The Deebot 900 also features Ecovacs signature mapping and navigation technology, Smart Navi. Using an interchangeable inlet system to tackle hair, carpets or bare floors, it ensures it achieves a thorough and systematic clean, according to Ecovacs. Users can try the new Max cleaning mode with a 70% power increase, or select the Area cleaning mode to divide their home into several areas and prioritise them for cleaning. The Deebot 900 has a 3,000mAh battery with a 100-minute working time when fully charged. When battery power gets low, the robot automatically goes back to its charging dock, then returns to the area it left off to continue cleaning. The Deebot 900 uses anti-drop sensors to clean around stairs without the risk of falling. The Deebot 900 is available for $799 at Harvey Norman and Bing Lee.